Overseas Filipino Workers (OFWs) work abroad for the sake of their family. After a tiring month, all the OFWs await is the salary which will stay on their hands for maybe a couple of hours and they are all gone. They will immediately bring it to the remittance center to send to their family. The OFWs first priority when they landed abroad is to find out where they can be able to send money. 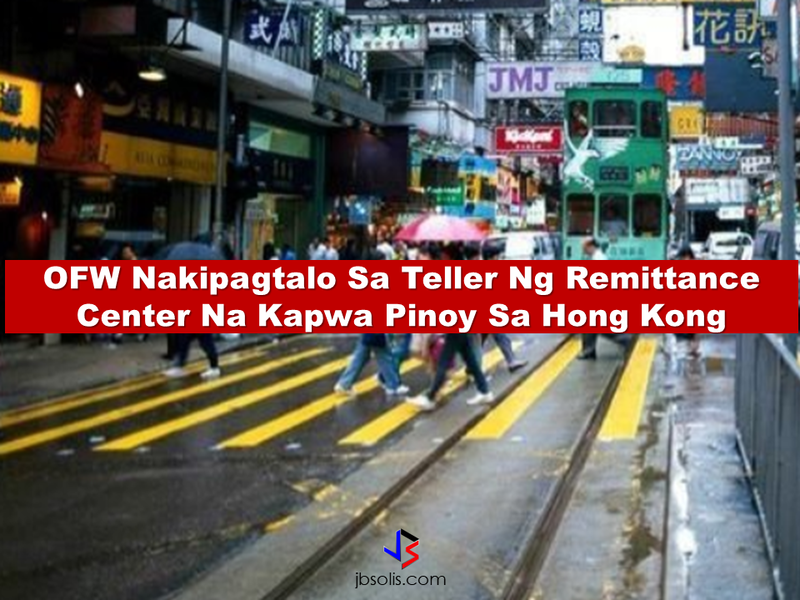 That is why remittance centers aywhere in the world are the places mostly populated by OFWs during the days where salaries are expected to be released. Most remittance center tellers practice "service with a smile." However, in very rare instances, there are some tellers who are ill-mannered and lacking good customer service. Just like what happened to a remittance center in Hong Kong. In a viral video, A Filipina OFW would be seen having a heated argument with a remittance center teller who is also a Filipina. They can be seen on video cursing and exchanging insults. According to the uploader, a Filipina OFW rushed to the remittance center to send money for her family back home. Later that she realized that the money intended to be sent to Palawan Express has been sent to Cebuana Lhuillier. The remitter voiced her complain to the teller. As the argument heated, bad remarks has been thrown to both of them, easily became a word-war. A scene that is so disappointing to see especially on a situation that they are both Filipinos. Netizens are dismayed on the behavior of the teller to think that they are, being both Filipinos in a foreign territory has to look after each other and extend help if needed. The teller even told the OFW that she will make her deported.